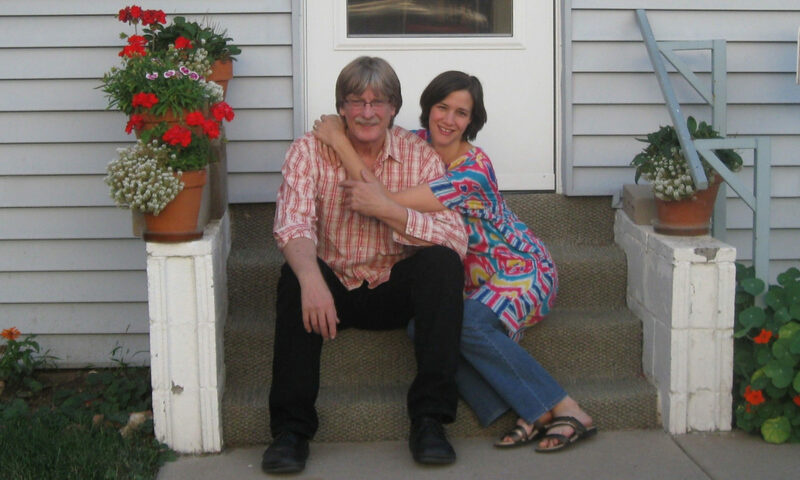 Julie and John Pennell are a performing duo and are songwriters. John has performed with numerous bluegrass bands, including Vassar Clements and an early Union Station featuring Alison Krauss. He plays guitar, bass, piano and trumpet. He has written songs performed by Alison (including “Jacob’s Dream,” “Too Late To Cry,” “Foolish Heart,” “Dark Skies,” and “Every Time You Say Goodbye”). Other performers who have presented John’s work are Eva Cassidy (“If I Give My Heart”) and Sam Bush (“The Wizard of Oz,” for St. Louis Cardinal Hall of Fame shortstop Ozzie Smith). Sam’s recording of “The Wizard of Oz” was featured in a segment of Bob Dylan’s “Theme Time w/ Bob Dylan,” where Dylan featured songs about baseball that he liked. Songs written with Sam include “Ridin’ That Bluegrass Train,” “Bless His Heart” and “Where’s My Love.” John has also written songs performed by Alan Jackson (“Meat and Potato Man,” written w/ Harley Allen, and “As Lovely As You”), the Infamous Stringdusters (“Fork In The Road” w/ Chris Jones), Dan Tyminski (“Carry Me Across The Mountain” with Jeff White and Billy Smith), and the late, great Harley Allen (“All The Lonely,” “I Wonder,” Devil On A Plow,” “The Picture I Still Carry” with Matt Lindsey, and “Half Mile Down The Road”). Julie, a member of a large musical family that includes award-winning musicians, hales from Canada. She performs on guitar, banjo, mandolin, and dulcimer. Her compositions such as “Let The World Slip Away” and “A Thousand Kisses” are now among the duo’s most requested numbers and her songs have won awards from the Central Canadian Bluegrass Association. Julie and John are always at work on original music, may be engaged for both public and private events, and conduct song-writing workshops. For more information, contact them by email. Copyright 2018, Julie and John Pennell. All Rights Reserved.